"...We have always had building our relations based on the balance of power. Times are different now, but it doesn't mean that Russian won't have contradictions with the US, even if, as I believe, they won't lead to a direct confrontation. For Russia, in order to ensure sovereignty and territorial integrity, solve the problems of restructuring of the Armed Forces solve the problems of moving towards democratic society that we have chosen, about thousand warheads will suffice. 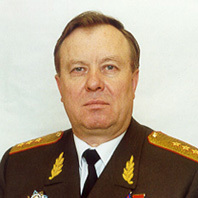 Even if Americans build national missile defenses..." (Counted Hours Left before a War with Iraq, - in Russian, by Vadim Solovyev, Nezavisimoye Voyennoye Obozreniye, February 21, 2003) - an interview with Col. Gen. Yuri Baluyevsky, first deputy chief of Russia's general staff. Los Alamos Study Group, a non-profit, research-oriented, nuclear disarmament organization published classified documents on its Web site revealing that Pentagon officials are planning to meet in August to discuss US nuclear weapons requirements, including the possibility of a new generation of nuclear warheads to destroy hardened and deeply buried targets, such as reinforced bunkers holding chemical or biological weapons. The United States and the United Kingdom submitted a new resolution to the UN Security Council that would justify the use of military force against Iraq. A counterproposal from France, Germany and Russia calls for long inspections. The voting is expected to take place after a briefing by UN chief weapons inspector Hans Blix and International Atomic Energy Agency Director General Mohamed ElBaradei, scheduled for March 7. At the Russian STAR Bulletin Board: criteria of nuclear deterrence, and other topics. Valery Yarynich, Professor of the Russian Academy of Military Sciences continues the discussion on criteria of nuclear deterrence. 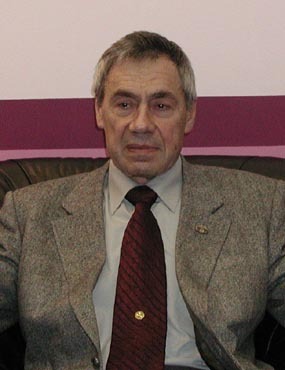 His new article "Feasibility of Unacceptable Event Must be Excluded" (February 17, 2003) in the Opinion section responds to the recent Prof. Emid Ashratov's comment. House Policy Committee released a new report on the US nuclear policy. Many statements of this document cause concerns of the expert community. Particularly, US intention to develop miniature nuclear weapons to be used against deep buried bunkers. Center for Arms Control, Energy and Environmental Studies at MIPT continues offering a course on "Non-proliferation and Reduction of Weapons of Mass Destruction Regime and National Security" (in Russian). First lecture of the Spring term -- Missile Technology Control Regime -- will be given by Gennadi Khromov, Senior Adviser with Glavkosmos, participant to INF Treaty negotiations, on Tuesday, February 18, 2003 at 17:00 in room 239 of Novy Korpus Bldg., MIPT. Russian MFA expressed satisfaction over the US Senate Committee on International Affairs' unanimous approval the Strategic Offensive Reductions Treaty (SORT). See also our special section: US Missile Defense Funding (in Russian). US Secretary of State Colin Powell's remarks to the UNSC expectedly polarized the views. Should the inspections continue or it is the time to use force in Iraq? US congressmen criticize Bush administration for inarticulate policy towards North Korea. Russian MFA expressed satisfaction over the decision by the US administration to resume the US participation, suspended three years ago, in the joint project with Russia, Canada, Japan and the EU, which China is also joining, for the creation of the International Thermonuclear Experimental Reactor (ITER): Alexander Yakovenko, the Official Spokesman of Russia's Ministry of Foreign Affairs, Answers a Question from ITAR-TASS News Agency Regarding US Administration Decision to Join in Implementation of International Thermonuclear Experimental Reactor Project, February 7, 2003. What conclusions for the future efforts on the control of nuclear arms and their delivery vehicles can be drawn from the Russian-US experience? Can the experience of bi-lateral control of nuclear delivery means under START and INF treaties be used in a multi-lateral process? What verification systems and monitoring technologies are available and which of them can be used in multi-lateral format? Dr. Eugene Miasnikov makes an attempt to answer these questions in his article U.S.-Russian Bilateral Arms Control Regime: What Measures Can Be Utilized in a Future Verification System of Multilateral Nuclear Reductions?, (by Eugene Miasnikov, Remarks at the Conference "International Arms Control, Transparency and Verification in a European-Russian Framework of Cooperative Security," Berlin, January 24-27, 2003); also available is PDF version of the article. US Energy Secretary Spencer Abraham said that president George W. Bush will ask Congress for a 30 percent budget increase for the Energy Department’s nuclear nonproliferation programs around the world. However, non-governmental experts of Russian-American Nuclear Security Advisory Council said that the major increase is to be spent in the United States. Remarks By Energy Secretary Spencer Abraham Center for Strategic and International Studies, January 29, 2003, Washington, D.C. In his State of the Union address last week president Bush stressed his determination to use force against Iraq. This Wednesday US Secretary of State Colin Powell is to present evidence of Iraq’s weapons of mass destruction programs to the UN Security Council. Experts discuss the possibility of the US' using nuclear weapon in Iraq. According to the Washington Times, president Bush signed a classified document that specifically allows for the use of nuclear weapons in response to biological or chemical attacks. 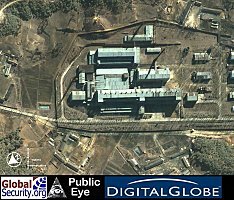 American spy satellites have detected activity at the nuclear storage facility at Yongbyon (North Korea), where spent nuclear fuel rods are stored. Reportedly, when processed, enough plutonium could be extracted from the rods to make four or five nuclear weapons.